With Hayao Miyazaki’s Oscar-nominated – and purportedly final – feature, The Wind Rises, arriving in UK cinemas this Spring, what better time to revisit the many wonders Studio Ghibli have brought us over the years with BFI’s welcome retrospective over April and May? While the BFI’s preview of The Wind Rises, a fictionalised biography of aircraft engineer Jiro Horikoshi, will doubtless prove enticing to long-standing fans, the retrospective offers an opportunity to see many of the studio’s best-loved features on the big screen for the first time. Expect tickets for Studio Ghibli’s most beloved film, My Neighbour Totoro, a magical realist fable spanning a summer two girls spend in the countryside as their sick mother recuperates in a nearby hospital, to sell out quickly. Of course, most every production from the prolific production house has its fervent fans, be it heartbreaking masterpiece Grave of the Fireflies, a wrenching tale of an orphaned brother and sister that marked a high watermark for animation, ecological fairytale Nausicaä of the Valley of the Wind, or more spritely fare like Castle in the Sky or Kiki’s Delivery Service. You'd be hard pressed to find one among the bunch that's not already widely embraced, although aviation fantasy Porco Rosso is certainly interesting in light of Miyazaki's latest film. If it’s safe to see that most Miyazaki converts will have had numerous opportunities to see the likes of Ghibli’s more recent output in cinemas, who’s to deny the sheer majesty of seeing Spirited Away again on one of the gorgeous BFI screens? More treats, including comparatively little-seen gems such as coming-of-age stories Only Yesterday and TV movie Ocean Waves, are coming down the pike in May as the Ghibli season continues. But for now, this remains a surfeit of pleasures for both established devotees and new fans. 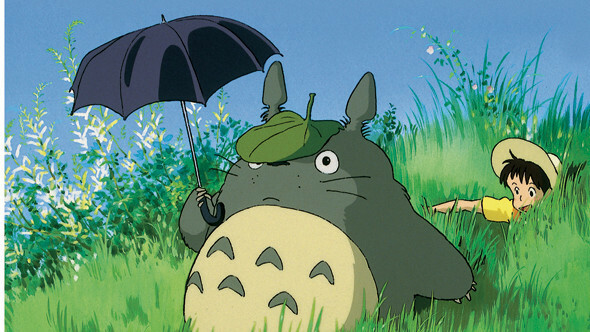 BFI’s Studio Ghibli retrospective runs from 2 April-31 May. BFI members can book tickets now for April, with tickets available for the general public from 11 March.